Strap yourselves in, everyone - this is a long one! 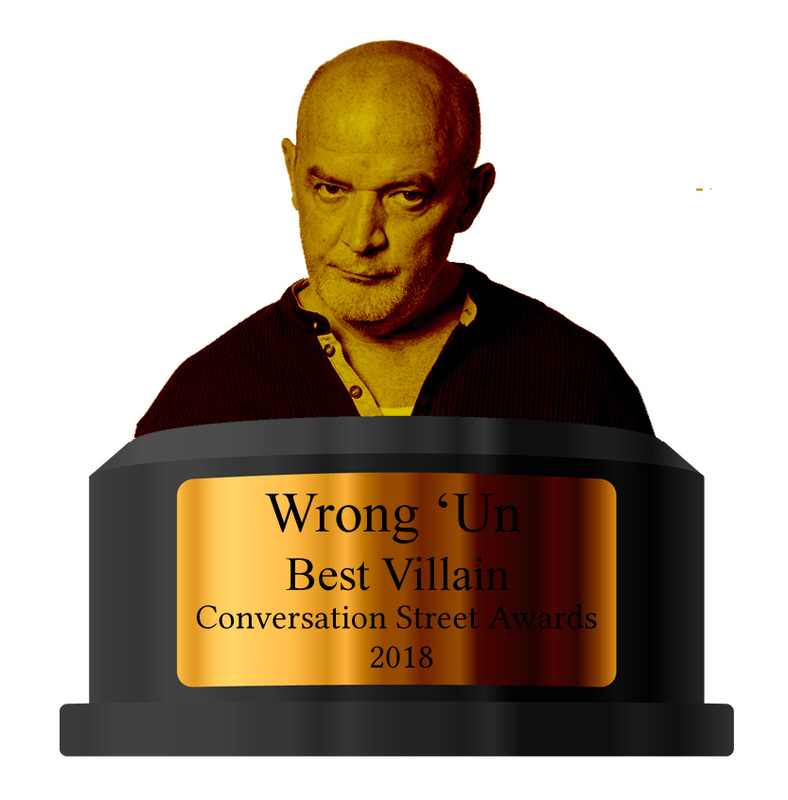 On our latest podcast, we chat about the episodes of Coronaton Street broadcast in the UK between the 21st and the 25th January 2019. This week, after finding out that Amy's in the club, Steve goes after suspected father Aadi with a spade. Meanwhile, another one bites the dust off screen as Sylvia has a heart attack, and rough diamond Abi goes job hunting. 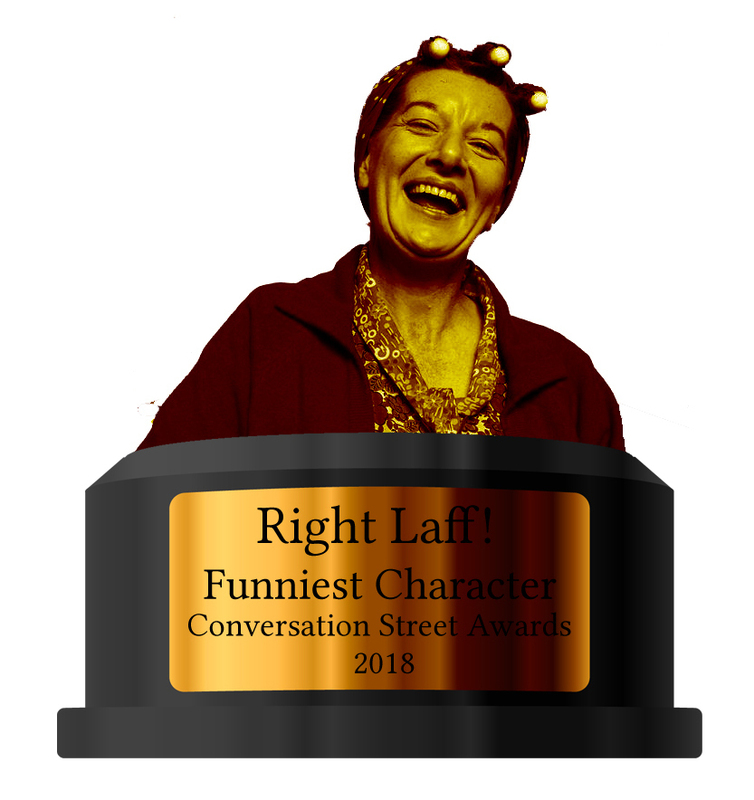 After Street Talk, it's time for the second annual Joni Awards, where we take a lighthearted look at some of the characters and stories from 2018 that didn't quite hit the mark. 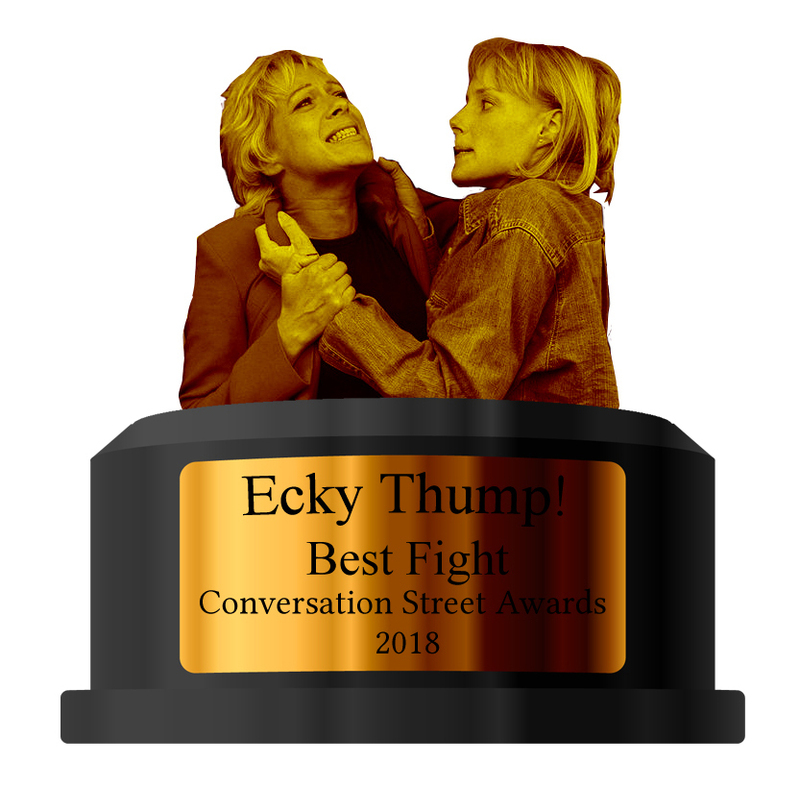 Among this year's categories are some old favourites like the Dirty Dog and Mardy Mare awards, along with a slew of new ones such as the Weatherfield Waterworks award for most persistent crier and the Daft Apeth award for stupidest decision made by a character - do let us know if you agree with the results! In The Kabin section, we comisterate Corrie's loss in the NTAs, then after a bunch of emails in the feedback segment, we discuss this week's big spoilery news about a departing character in Kabin Extra. In our latest episode of the podcast, we chat about the episodes of Corrie broadcast in the UK between the 14th and the 18th January. This week, there's a bit of a close shave for Nick when David rumbles his involvement in the theft of Audrey's cash; Sinead manages to get rid of at least one of her internal growths as baby Bertie is delivered early and, because Soap Law says that at least one character has to be in the club at any one moment, Amy discovers she's got a Barlow bun in the oven. Oh yeah, and we suppose we'd better mention Sally was released from prison too - but can we just forget this whole story ever happened now, please? With this being a very late episode, we decided to forego any news or feedback, but fingers crossed we'll finally be back to our usual weekly schedule from this weekend! In our latest episode of the podcast, we chat about the episodes of Coronation Street shown in the UK between the 7th and the 12th January. A good week overall, we thought - and one with some pretty surprising twists! May's still alive and living in Costa Rica, Nick's the one behind the mystery of the missing moolah, and Duncan gets hit by a van - is he dead, or is he alive? Whatever the case, we suspect the finger of suspicion will be aimed squarely at Tim 'Punch First, Talk Later' Metcalfe next week... Also this week, Lewis Archer's farcical funeral - not everyone's cup of tea perhaps (speaking of which, Evelyn with her flask and china cup was the best! ), but we loved it! This week was also when we had to say goodbye to Angie Appleton, and next up in the podcast, we talk to actress Victoria Ekanoye about her final months on the show, what it was like filming The Big Soap Quiz and what the future may have in store for her (and maybe even Angie..!). After finding out who made the NTA shortlist in The Kabin, we finish off the podcast with more of your voicemails, emails and tweets in the feedback section. Happy New Year everyone! Our first show of 2019 has us discussing the episodes of Coronaton Street broadcast in the UK between the 31st December and the 4th January. This week, the delightfully twisty-turny Lewis Archer plot kept us all guessing about whether or not he was conning Audrey, and though Lewis himself came to an unfortunate end on Tuesday, we have a feeling that the mystery of Audrey's missing moolah is not quite done yet. 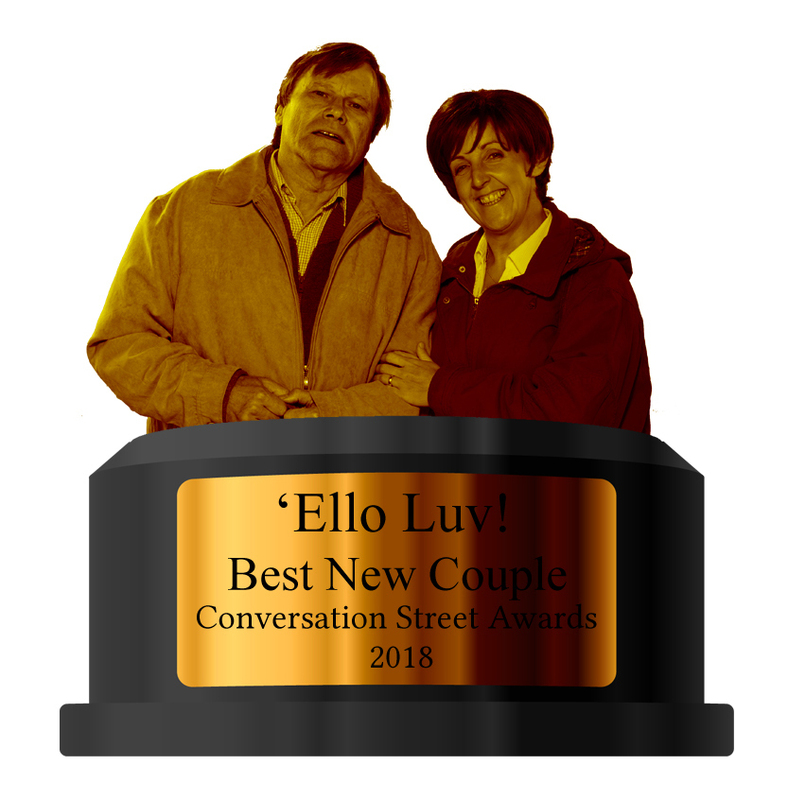 Also this week, Roy and Mary take a trip to Blackpool in an attempt to track down fake marine biologist turned fake orthopaedic surgeon Jude, Gemma's dodgy twin brother shows up on the Street, and - in what some fans have dubbed the worst Corrie scene of all time! - Dev and Kirk have a supernatural encounter in the old pool hall. 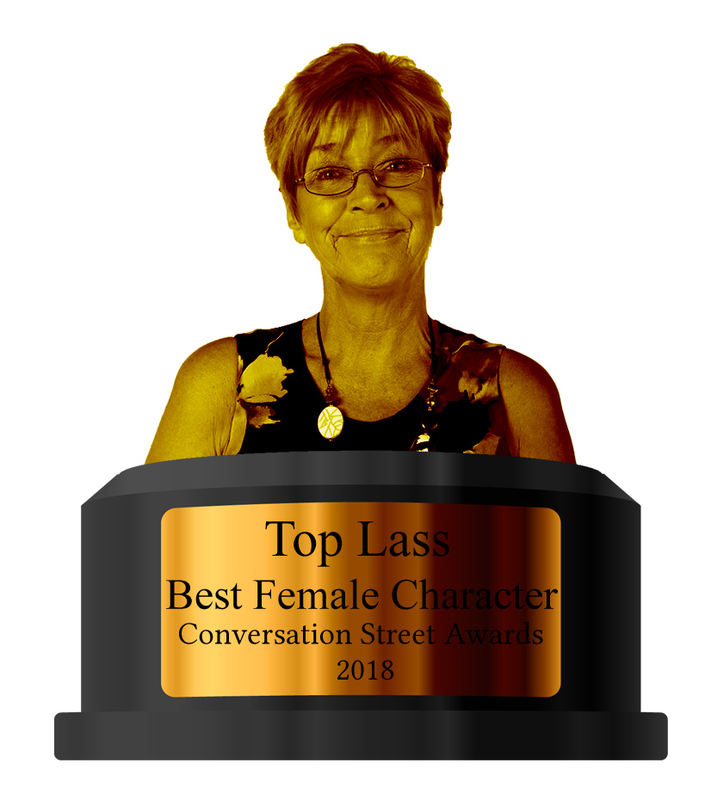 In the news segment of the show, we take our annual look at which characters featured the most in the past twelve months of Corrie, then round off the podcast with some very differing opinions from our listeners about Corrie's Christmas week in the feedback section. 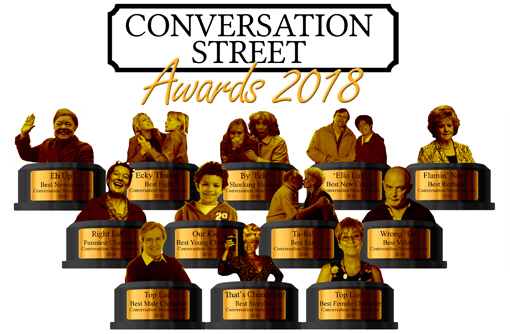 Another year is over, which means it's time once again for the Conversation Street Awards! 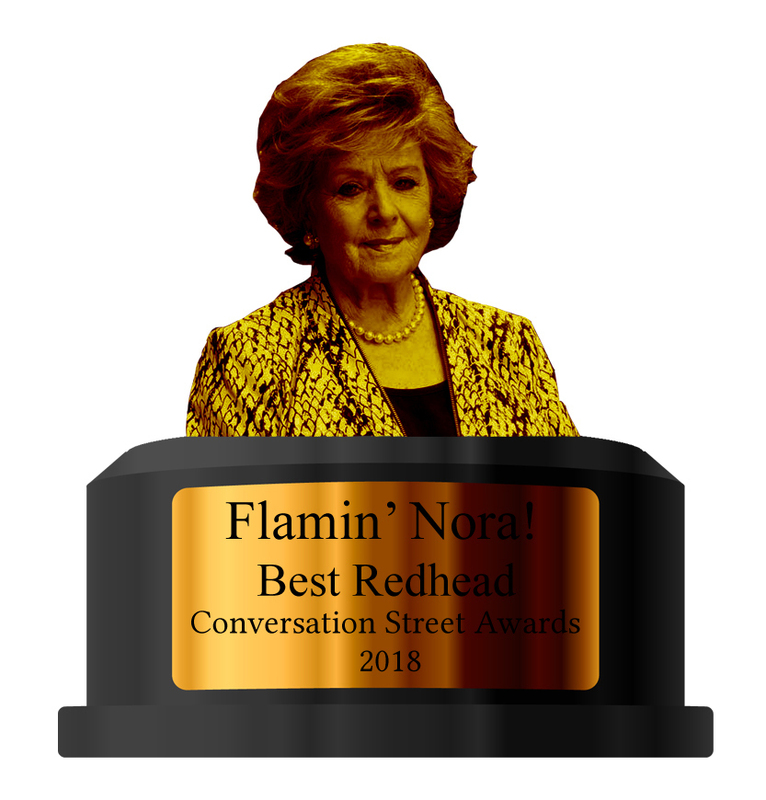 We've tallied up all your votes, and in this episode we reveal which characters are the recipients of an award in each category. Who have you crowned Top Lad and Top Lass? Which baddie has been voted the wrongest Wrong 'Un? Which shocking moment had you crying 'By 'Eck! 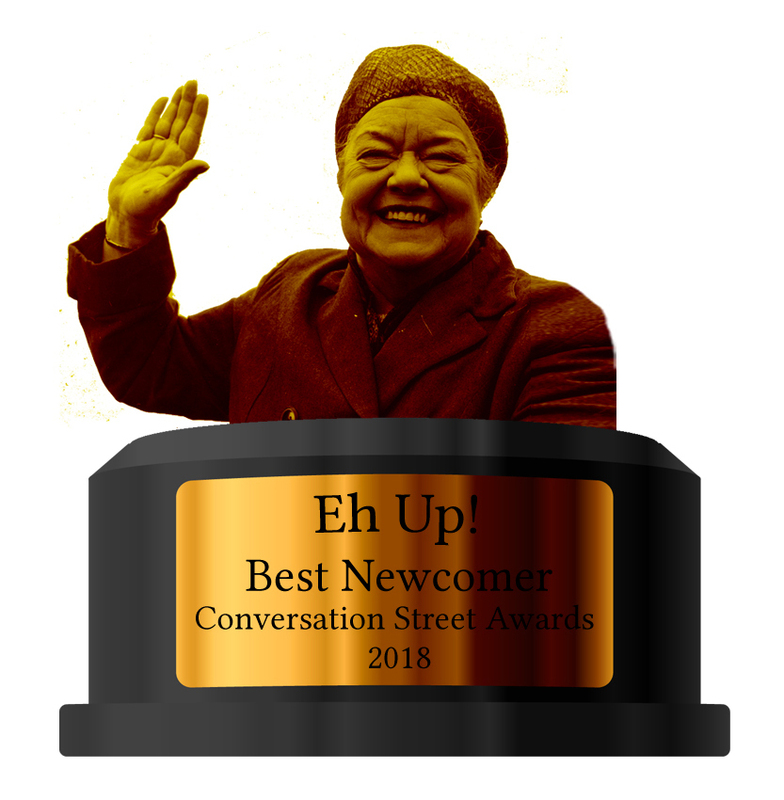 ', and which newcomer have you welcomed with the warmest 'Eh Up!'? 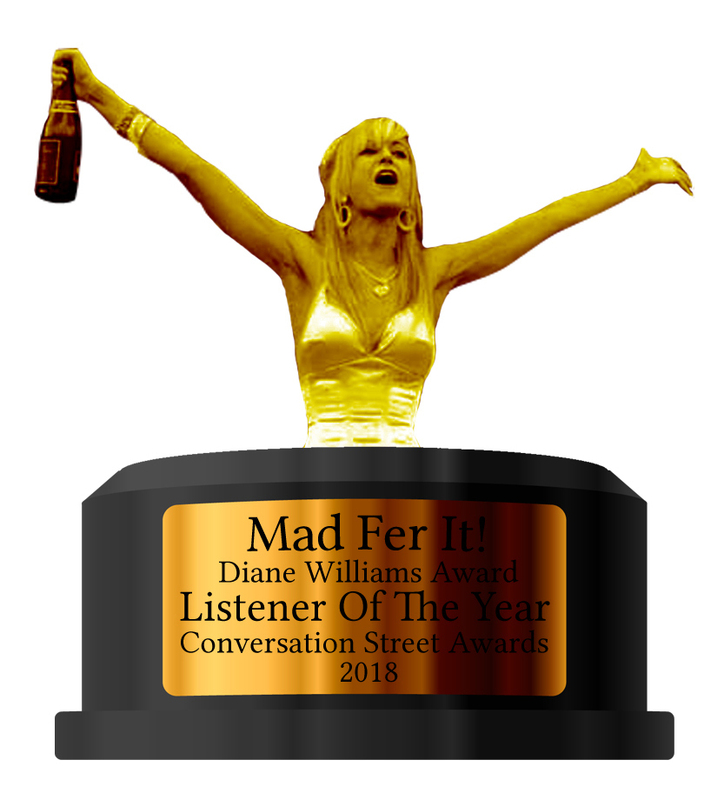 The results in our twelve main categories are all here, plus our brand new award - The Mad Fer It Diane Williams Award for Listener of the Year. 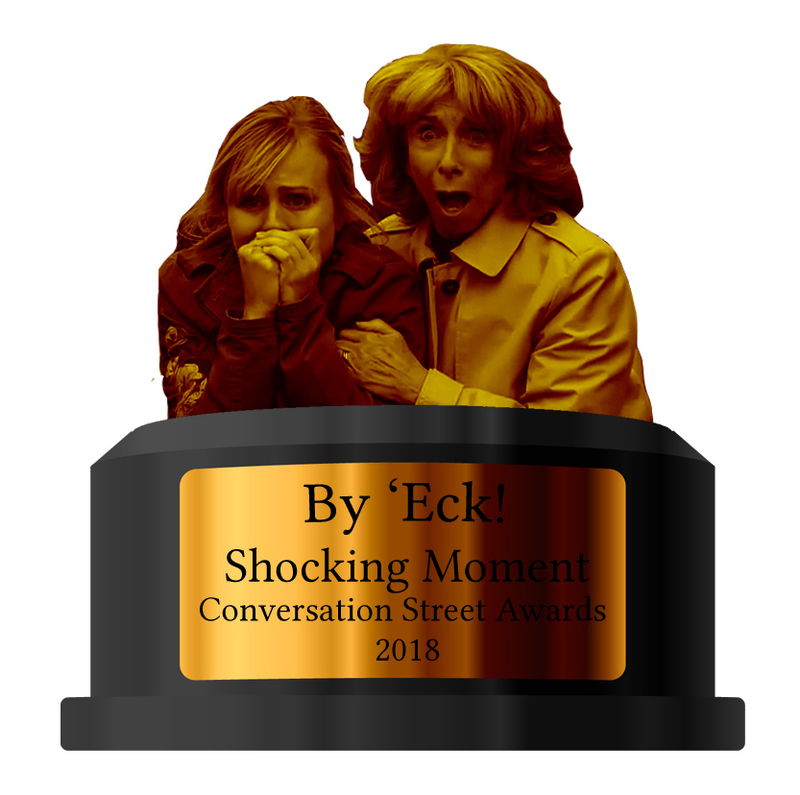 After the awards are over, we take a wider look back at 2018, reflecting on highlights for both Corrie and the podcast, including the new Victoria Street set, the change in producer, and other stories and characters that, though they may not have got an award, are still worth discussing. We finish off the episode with the predictions segment, looking back twelve months to see what we thought would happen in 2018, before gazing into our crystal ball to find out what we think Corrie has in store for us in 2019. On this festive episode of the podcast, we share our thoughts on the triple whammy that was Coronation Street on Christmas Eve, Christmas Day and Boxing Day. Okay, maybe that was a bit of an overstatement to call it festive, because although the episodes seemed to go down well with a majority of the fanbase, we did have a fair bit to moan about. Not about the Johnny and Jenny plot, we hasten to add - that was top drama right there. It's just.. we're both such big fans of Gina that we can't say we're happy with what's been going on in that storyline in recent weeks, and seeing Tim throw her out on Christmas Day really was the last straw! Ho hum.. at least seeing Evelyn getting Cerberus back was a heartwarming moment amidst the Yuletide misery! After Street Talk, we get right back into the Christmas spirit by playing a Corrie version of the party game Accentuate, which involves us taking it in turns to read out a famous Corrie quote in the voice of a different character, with the other person having to guess who the impersonation is of. Yes, perhaps we overestimated our abilities to do recognisable Corrie voices before we started playing, but it certainly provided a lot of laughs! In The Kabin, we share our thoughts on Corrie's performance against Emmerdale in this year's Big Quiz (they wuz robbed!) before finishing off the podcast with some festive feedback. In our latest podcast, we talk about the episodes of Coronation Street broadcast between the 14th and the 21st December. Christmas is just around the corner - the time to eat, drink and be merry, or, as seemed to be the case in Weatherfield this week, the time to drink, drink and drink. Yes, there were quite a few Corrie characters getting in trouble thanks to the old booze this week: an increasingly paranoid Jenny uses it to numb the pain of her cheating husband possibly straying again; a kaylied Tim pulls Gina into bed with him and Brian discovers that a bellyful of shots and being swung on a harness on stage at school don't mix. Also this week, Audrey receives some sad news about Archie Shuttleworth, and Evelyn gets her hands on Roy's woody. After Street Talk, we recount our recent trip to Manchester, where we had the pleasure of watching Connor McIntyre and Les Dennis camping it up on stage as the ugly sisters in the Opera House's rendition of Cinderella - a brilliant show, and well worth the long car journey up north to see it! As it was a bit of a slow news week (and we were already running over time anyway), we skip The Kabin this week, and finish off the show with some listener emails. 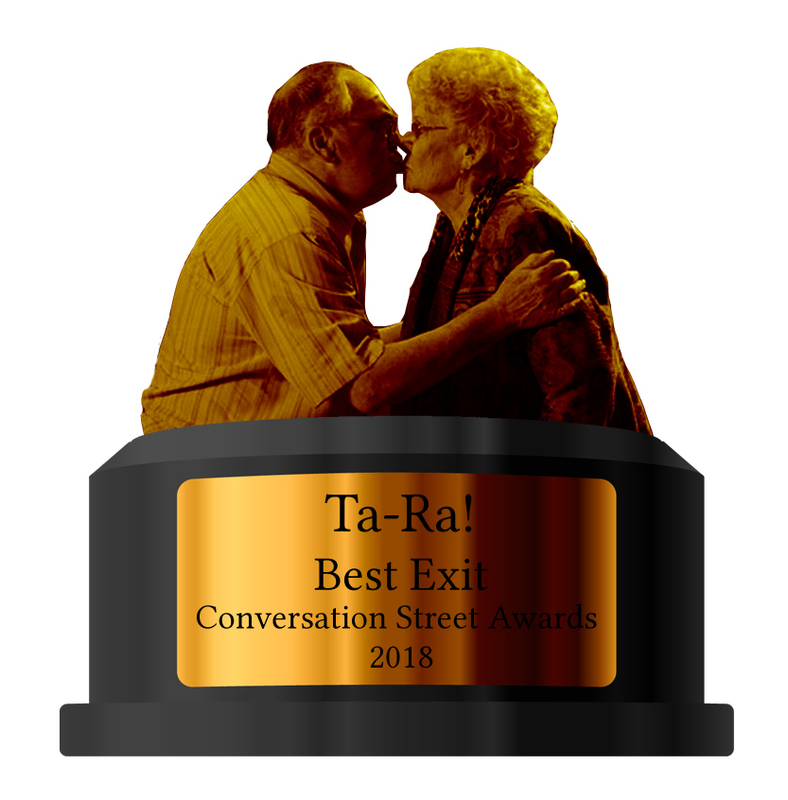 The end of 2018 is nearly here, which means the return of the Conversation Street Awards! The past twelve months have seen their fair share of heroes and villains on the cobbles, but which characters and storylines are most deserving of praise? Results will be revealed in our annual awards show around New Year, but first, have a look at the nominations below and pick your winners! The listener poll count for two thirds of the overall vote, and Gemma and Michael will get the rest, so make sure you cast your vote here! In order to support Coronation Street's commitment to mental health issues and charities, we're asking those of you fortunate to be able to do so to donate a small amount towards Mind, a charity that worked closely with Coronation Street during the development of Aidan's impactful story this year. Please click on this link to be taken to our fundraising page. 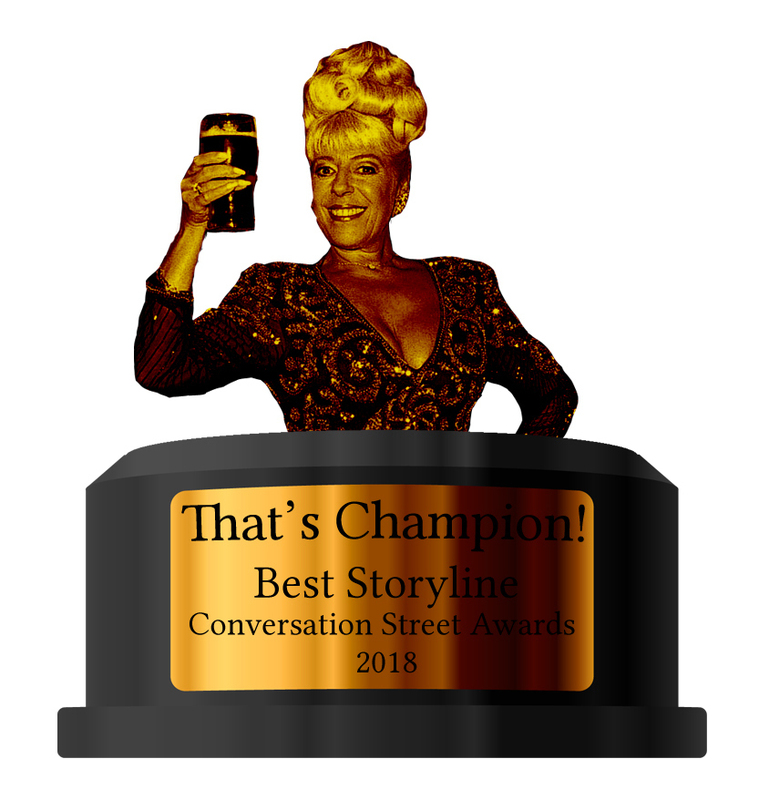 This year, we will be introducing a special award in tribute to our friend, podcast listener and fellow Corrie fan Diane "Tvor" Williams, who passed away earlier this year. The recipient of the "Mad Fer It!" 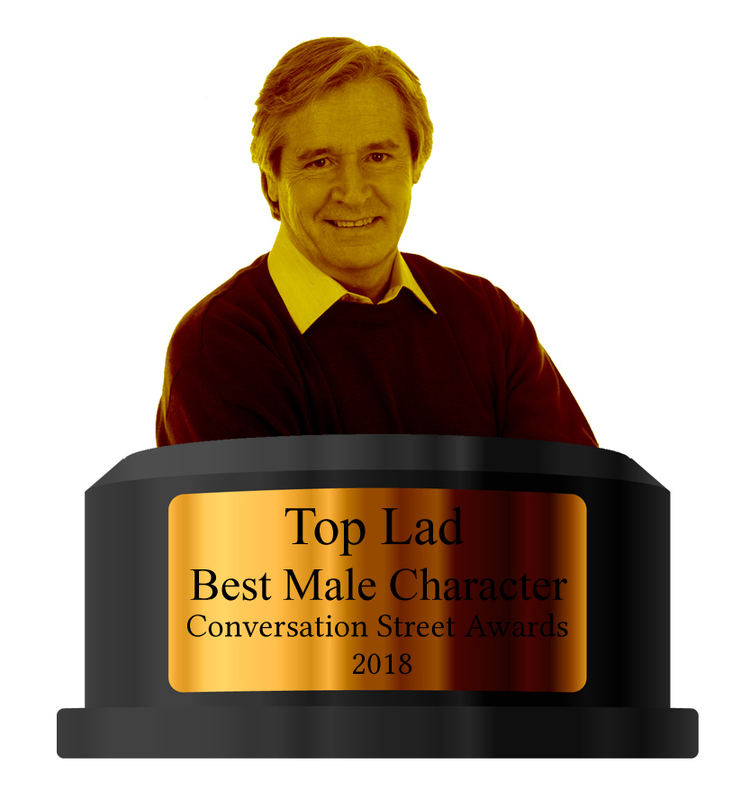 Diane Williams Award will be chosen solely by the two of us, to celebrate a listener who has gone above and beyond to support the show and the Conversation Street community throughout the year. On our latest podcast, we chat about the episodes of Coronation Street shown in the UK between the 7th and the 12th December in the UK. This week, in a completely shocking and unexpected turn of events, Steff discovers that opting out of chemotherapy maybe isn't the best idea when your body's riddled with cancer. She and Sinead aren't the only ones in dire need of treatment either, as Brian's workload preparing for the nativity starts to take its toll on him. Meanwhile, Eileen's Phelan flush, and Chesney gets mugged by a knock-off Bistro ninja. 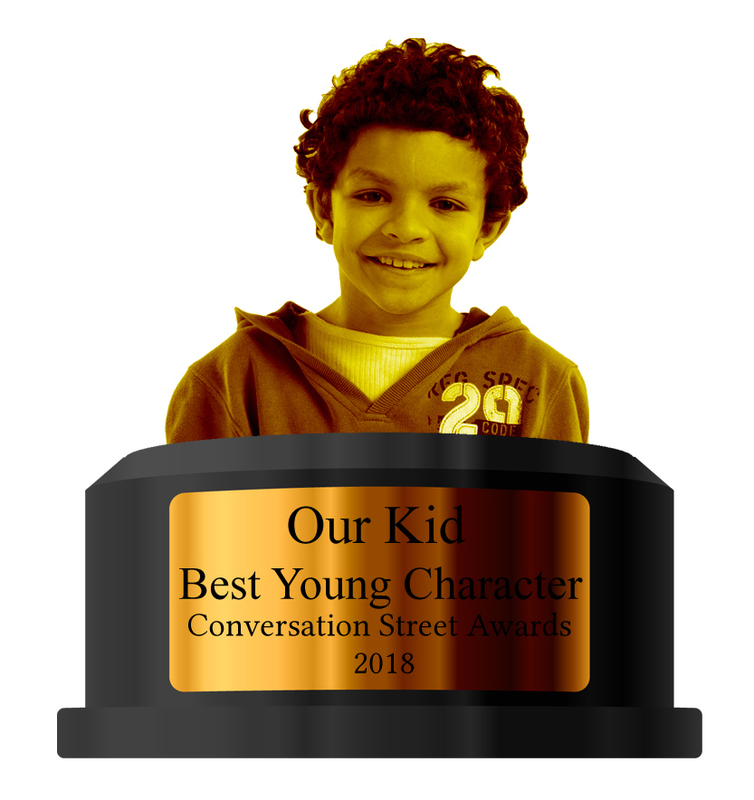 After Street Talk, we launch this year's Conversation Street Awards, in a segment where we announce the nominees and explain our reasons for picking them. Don't forget to cast your vote, now! Next up, in The Kabin, we find out what Beverly Callard and Craig Charles have been saying about Corrie in some recent interviews, then round up the podcast with some listener feedback.